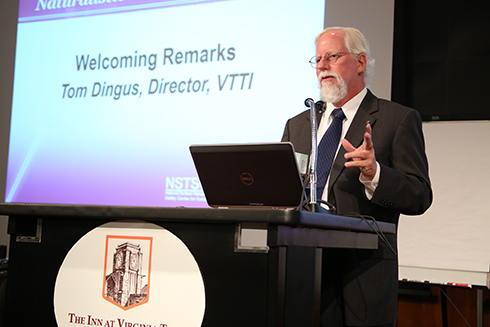 Recently VTTI has been busy hosting and attending conferences. Click on the images above to see some of the moments we captured. Naturalistic Driving Research Symposium 2014: This two-day international symposium (preceded and followed by full-day workshops on Monday, August 25, and Thursday, August 28) gathered experts in the field of naturalistic driving research to discuss a wide range of topics. Intelligent Transportation Systems World Congress (ITSWC) 2014: VTTI presented its connected and automated vehicle demonstration at the most recent ITSWC in Detroit, Michigan.